Success on the ice for 2 young homeschoolers! 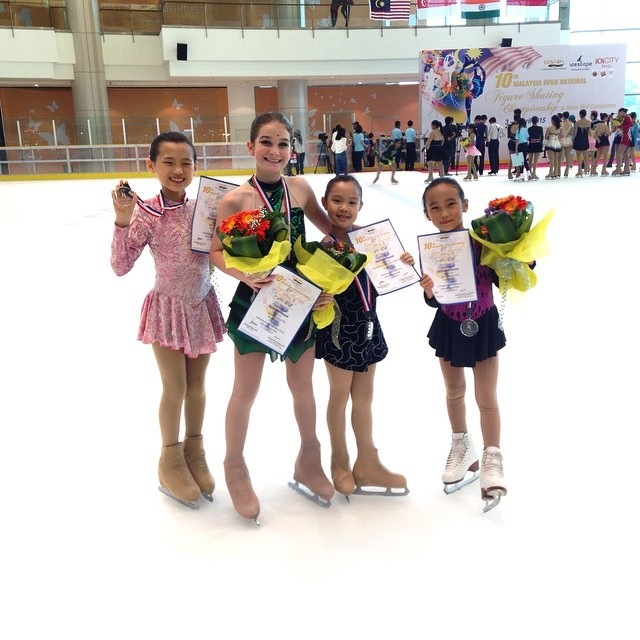 Congratulations to Zhang En & Zhang Hui for your winning efforts in the recent ice-skating competition! Wai Leng speaks to the two young skaters and their mum. 1. LBS: Can you tell us the name of the competition and who were the competitors? Zhang En & Zhang Hui: Thank you Aunty Wai Leng! 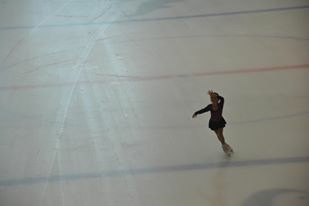 The competition was called the 10th Malaysia Open National Figure Skating Championship & Basic Skills Competition. We joined the Basic Skills Competition. The basic skill competitors are from Sunway Ice Rink and IOI ice rink, and our Royale Bintang ice rink. 2. LBS: What events did you compete in and what placing did you get? Zhang En: I joined basic level 2 and got placing no 1. Zhang Hui: I joined basic level 1, placing no 2. 3. LBS: Was this your first competition? And what was the experience like? Zhang En: For ice skating competition, yes, it was our first. Zhang Hui : I am very happy when I won second placing. On that day I was nervous, excited and wonder what placing will I get. 4. LBS: How do you feel winning at your event? Are you going to join more competitions in the near future? Zhang Hui : I was so happy that I couldn’t wait for my name to be announced. Zhang En : I felt thankful for the opportunity that Royale Ice Skating Rink has given me. Yes! We would like to join more competition in the near future! 5. LBS: Would you recommend other kids to take up ice-skating? Why? Zhang En/Hui : It is up to the kids. If they like it, yes, why not? 6. What were some of the challenges you faced with the competition? Zhang En : I had to deal with the pressure of winning, mainly because I was being sponsored by the rink. And half way through, my skate broke and I needed to get used to the new shoes in a short time. 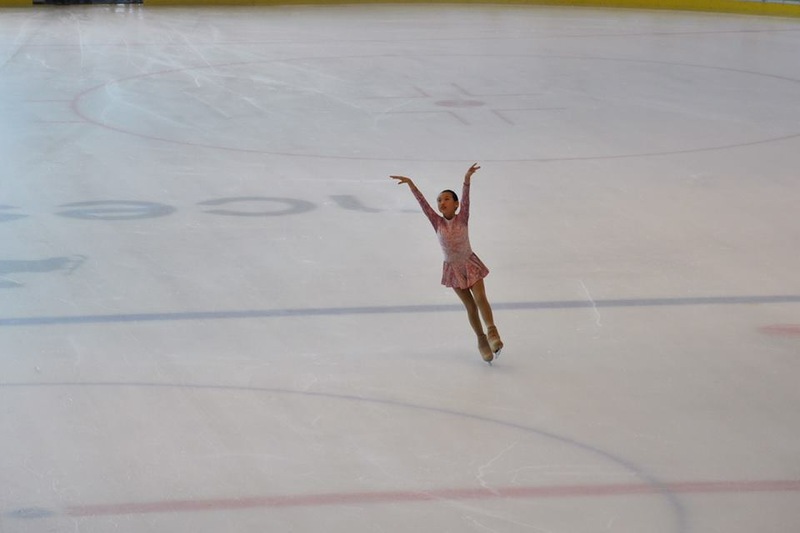 Zhang Hui: I fell down countless times while doing my jumps with my new pair of skates that came with a bigger toe. My knees swelled but I had to continue training despite having muscle and ankle pains! 1. LBS: How did your girls stumble upon ice-skating? Did they ask to take classes? Shannon: It started off as a home-schoolers-playdate at the newly opened Royale Ice Rink which is near our home. in 2012. On the first visit, ZE glided naturally. ZH did so at the second visit. Much later, on one visit, they joined the free class offered at the rink. They enjoyed it and thereafter, they asked to take figure skating class. 2. LBS: Did you foresee that they will be taking part in competitions, let alone win medals? Shannon: No I didn’t foresee that. They started lessons with a group of home school friends to pick up figure skating elements. I didn’t think much about it, seeing it as just a physical activity for them with their friends. Besides, I do not have much knowledge about ice skating and I also did not find out about it. At one level, their coach told me to buy figure skates shoes. At that point, I found out how expensive a pair of figure skate shoes can be ! I discussed with the kids and they said they wanted to continue learning. We tried to source for cheaper shoes in Singapore to start off with. As for this competition, both went for the Royale Ice Rink sponsorship selection. ZE got selected and was fully sponsored by Royale in coach fees and competition fees. For ZH, the coach wished for her to be part of the national team, and offered to train her for free. I only paid for the competition fees. Without the sponsorships, I wouldn’t have been able to let them join this competition or others. 3. LBS: What are the winning factors for their success? Shannon: I personally feel that firstly it is because they enjoy it a lot. After training, they were exhausted but feeling happy and contented. Secondly, they don’t mind the hard work because they enjoyed the training. Thirdly, it is their perseverance and emotional strength. They go on despite the muscle pains and pressure from the coaches. Winning to us is not just getting the medal – it is the whole process of going through the training and being able to perform and persevere to the end. 4. LBS: How do you feel about their involvement in ice-skating? Do they have other interests besides this? Shannon: As long as they enjoy ice skating, I will feel it is okay for them to carry on. However, I do feel it is a very expensive sport. We have had discussions after discussions on how to continue on with the financial commitment, and in the end, we always keep going due to the girls’ love for skating. The coaches and parents are very supportive here and have contributed much to the girls’ development and needs, which I’m very appreciative of! Coaching fees is charged by the hour. Then there are the expenses in purchasing shoes and costumes and other accessories. But if the kids love it, I think it is all worth our investments in time, effort and money! And yes, they have many other interests like music, languages and dance. 5. LBS: Would you recommend other parents to let their kids do competitive skating? Shannon: If the kids love it, I think they should go for it. Because ice-skating is still a relatively new sport here and opportunities to shine is good. We can also look into building a career in this sport for the kids in the future when they are older. Talking about being competitive, for us, it is not the “dog eats dog” kind. We wish for others to succeed as much as we wish it for ourselves. That’s the spirit of sportsmanship!